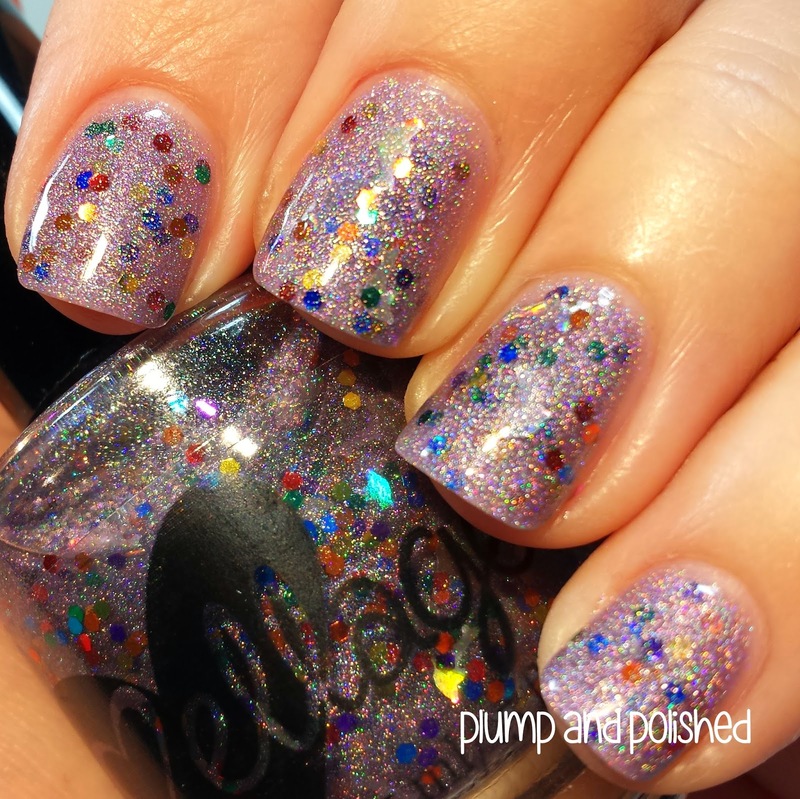 Plump and Polished: Ellagee - Purple & Dolphins & Rainbows, OH MY! 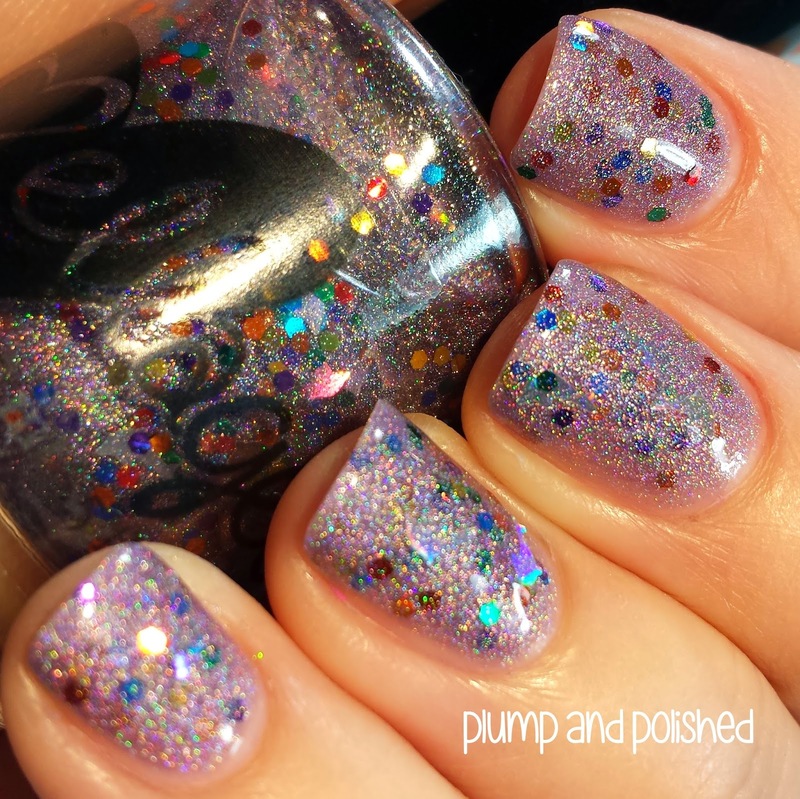 Ellagee - Purple & Dolphins & Rainbows, OH MY! I'm so glad that I finally have time to post this polish! I actually started singing "My Favorite Things" while I was putting it on. I love purple. 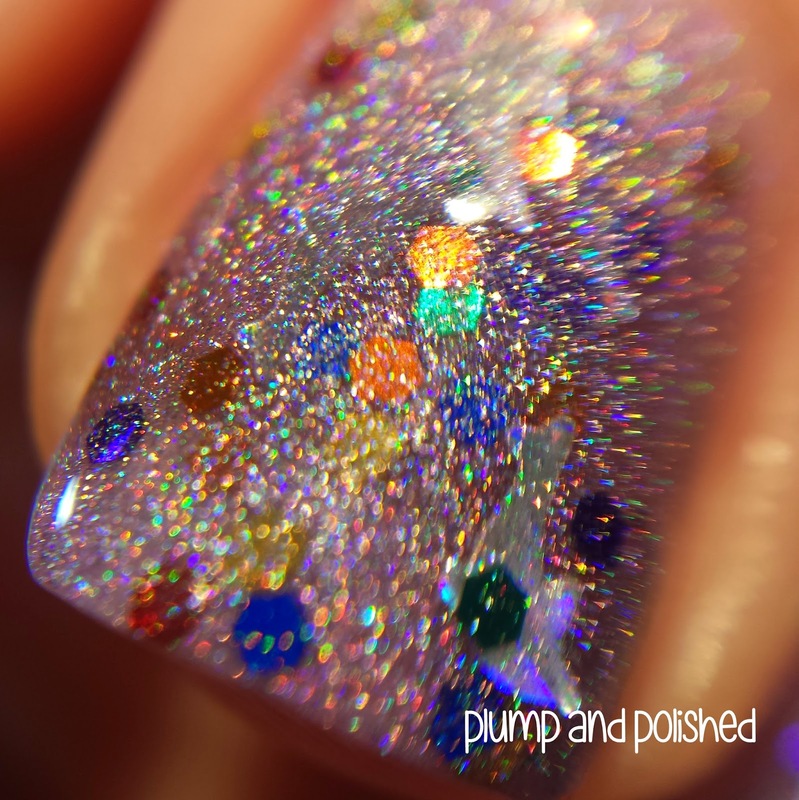 I love holo. I love rainbow glitters. How could this be bad? It can't be! Duh. Don't miss out all the details after the jump! Purple & Dolphins & Rainbows, OH MY! I wanted to use my desklamp to show off a bit of the holo in this. 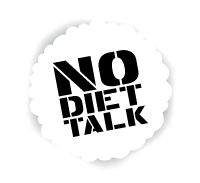 It applied nicely and I used three thin coats to get the coverage I like. It had an average dry time and one coat of Glass was just enough to smooth it over. This twinkles and shines like crazy! I wish I had gotten some shots in full sunlight, but we've had a lot of storms lately. I didn't get to see it in sunlight. I'm sure I'll bring it out for another ride! For some reason, my macro lens wasn't playing nice when I was using this picture. I couldn't get a decent picture to save my life. This will do since it shows off the holo sparkle nicely. 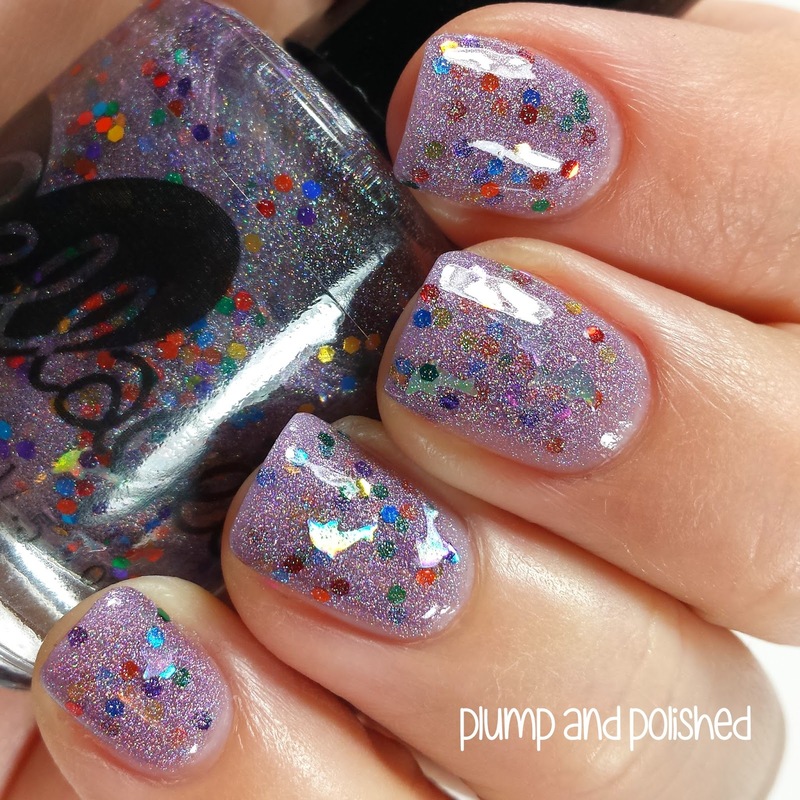 Purple & Dolphins & Rainbows, OH MY! is $9.75 USD plus shipping.